Get ready for another wild ride on the Ozone Roller Coaster. R-22 is being phased out next. When R-12 was phased out we witnessed the largest financial strain ever placed on the refrigeration service industry in history. R-12 and replacement prices went through the roof. Service firms had to reinvest thousands, add more inventory, retrain men, study and test for licenses and then had to gross more while watching the net profits drop off. The price for service work has already been looked at by many customers as being highway robbery. Manufacturers also spent fortunes to make changes in compressor designs and all related products. Wholesalers also felt the financial strain with many having to close their doors. Reports of R-12 smuggling and arrests were published in the trade magazines. But we were left with a second choice in refrigerants which was old and reliable R-22. It always has been used for A/C so that part of the industry was not hit as hard financially. price quote on any large quantities of any refrigerant please email me for a quote. Got a Leak and Can't Find It? Due to the ozone depletion our old dependable refrigerants are being replaced with new mixtures that contain no chlorine. Our old dependable heated diode detectors were very sensitive to chlorine and so we have to add more weapons to our arsenal to find leaks with ultrasound detectors. A leak creates a sound with a frequency that is out of the human ear's range but it can be changed to something we can hear. With UD's we can also hear leaks in building roofs, car windows, vacuum lines, air and waterlines and etc. Yes the same problem with my computer also lies between the keyboard and the monitor as the tools you use are only as good as the operator. Will glass conduct electricity? These will as they have a conductive layer sprayed on the back side of the front glass with a wire attached at the bottom and the top and electricity flows across the back of the glass to heat it. The door has a double layer of glass so there is no danger of shocking. For testing the non-contact volt/amp meter(shown at right) will verify that there is actual voltage flow across the glass without touching the glass. 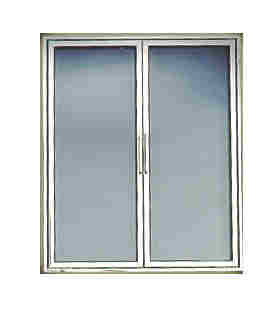 The doors also have frame heaters and the jambs also have heaters. The energy cost involved in running door heaters is justified to keep the gaskets from freezing and condensate off the glass so you can see what you are buying before opening the door. Do You Have Emergency Access to These Items? As a serviceman I see situations daily that could develop into an emergency situation and having these items could save a life. Does at least one person per shift know how to shut off the natural gas or the electrical mains in your operation? Why? 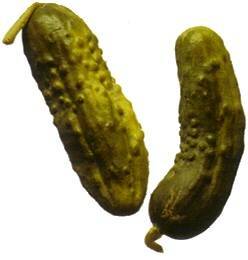 Pickles, vinegar, potato salad, dressings and others contain acetic acid.Whenever acetic acid producing foods are placed in a refrigerator the acid gas becomes airborne it attacks metals inside and solders used to weld joints in refrigeration tubing. The end result can be hundreds of small pinholes that leak out all your refrigerant. Commercial refrigerators and display cases can be special ordered with epoxy coatings to help slow the damaging process but that adds a considerable amount to the initial expense. The best you can do as an equipment owner is to make sure all acid producing foods are placed in a vapor tight container before placing in a refrigerator and always clean up any spills.